As part of our commitment to the Technology for a Quieter America Project, we had aggressive noise targets as we were designing the enclosure. In order to meet those goals, we created a revolutionary architecture with a dual wall enclosure and engineered air flow path. The design is essentially a box within a box that allows for minimal noise output. Then, the acoustic noise of each compo- nent was tested, refined and perfected by Cummins. Analysis Led Design (ALD) with Acoustic Noise Modeling played a significant role in achieving the lowest noise levels with fewer engineering resources and helped us in developing this design and noise control solution in the shortest possible time frame. We developed our Acoustic Noise Modeling technology in 2010 based on a very precise noise modeling technique. The predictive capability is exceptionally accurate. It’s one of the things that helped us to design this revolutionary series of generators, and it moves us toward improved noise levels with every new design. As part of the development of the QuietConnect product, we completed 10,000 hours of verification testing looking at all aspects of its ambience at our state-of-the-art Acoustical Technology Center (ATC) in Minnesota. We also performed multiple iterations of competitive benchmarking to ensure that the new QuietConnect series is reliable, robust and exceeds market expectations. Our commitment to intentional design helps Cummins to remain competitive. Each and every component that goes into an assembly is purposefully engineered to meet a specific purpose. For instance, rather than a simple form bent and welded sheet metal, we use multifunction components. The base pan has specific features formed into it for housing adaptation, the alternator and the battery. The enclosure is a tooled component. The engine and alternator are Cummins designed, as is the fan, which was created to balance the required air flow through the enclosure. The muffler was also designed and developed by Cummins to attenuate noise levels at targeted frequencies to optimize exhaust noise performance of the engine. We think about each piece of the generator for optimal performance. We took a similar approach with the electronics and software integrations. We developed a single master control that manages the engine, safeties, start-stop functionality, as well as the electronic governing and alternator output. We built in remote monitoring functionality and are able to offer it to our customers free of charge. The system is cloud based so it’s plug and play. All that is required by installers is to enter just a few parameters on our webpage and the genset can be controlled and managed from anywhere in the world. Installation takes 20 minutes or less – there are no firewalls or expert computer skills needed. With remote monitoring, users can check on and receive notifications on genset status as well as manually start and stop their generators remotely, allowing them to manage energy output through an extended power outage or limited fuel supply. Users can access remote monitoring via the app for iPhone or Android, as well as through a web browser. Homeowners can also grant access to their local dealer, who can manage and perform routine maintenance quickly and easily. To simplify installation, Cummins has used a simple control scheme between the transfer switch and the generator only three wires are required from the genset to control the transfer switch and up to eight additional wires to control optional remote display and load management accessories Connections are right inside the access door, making for a very quick and straightforward install. Another key feature of the QuietConnect series is the intelligent load management system. Our control system continuously monitors how much current is consumed by each of the managed loads. This allows our control to make much more proactive and intelligent decisions about when to add or shed a load circuit. This means that homeowners are getting the optimal level of power and conven- ience from their generator, while other systems completely lock out managed loads, even when there is ample generator capacity. Another new feature on these gensets for the fuel and noise conscious is the refined exercise scheduler. In addition to weekly, biweekly and monthly exercise options, customers can choose a new option called “crank only.” With this feature active, at every other scheduled exercise period, the genset will crank the engine but not start and run up to full operating speed. During the engine cranking, the control system is able to run a full set of diagnostics to ensure everything is working properly. During the crank only exercise cycle, the control is able to check oil pressure, battery voltage, voltage and speed signals, and more. This feature gives homeowners confidence in their standby power source while decreasing fuel consumption and neighborhood noise. At the next scheduled exercise interval, the genset will conduct a typical, full engine speed exercise. Cummins also offers a full line of accessories including load management contactor kits, remote displays, cold weather starting kits, composite mounting pads and a full line of transfer switches including an integrated transfer switch and load center in one box. This integrated design combines two separate electrical products into one, offering an afford- able, easy-to-install solution that takes up 50 percent less space on the homeowners’ wall. The QuietConnect series is NFPA37 rated, which means it has been flame tested and approved to be installed within 18 inches of a home or building structure. This can simplify and allow for more aesthetically pleasing installations. 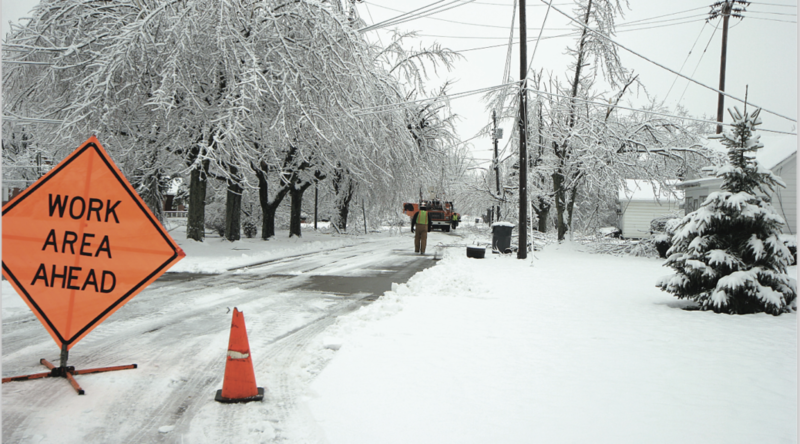 As the winter season approaches and power outages caused by ice and snow storms can lead to heat outages as well, we’d encourage you to talk to your customers about the importance of back-up power. You can help them understand the importance of remote management, an NFPA37 rating, and the benefits of a quick install. Losing power can be an expensive endeavor, particularly when the outage is prolonged. And now, you can offer your customers a thoughtful solution that’s easier to install, easier to manage, and has the Cummins heritage built in, so that your customers don’t get left in the dark when a storm hits. Authors: Dr. Shashikant More, Engineering Manager – Global Vibro-Acoustics, Cummins; Eric Nordstrom, Engineering Manager, Cummins; Dan Priem, Electrical Technical Advisor, Cummins. For nearly 100 years, Cummins has powered lives across the country and around the globe. 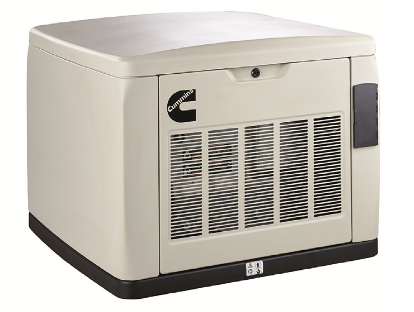 Their residential standby generators feature industry-proven technology, backed by real world experience. When weather gets rough, trust Cummins to keep the lights on!